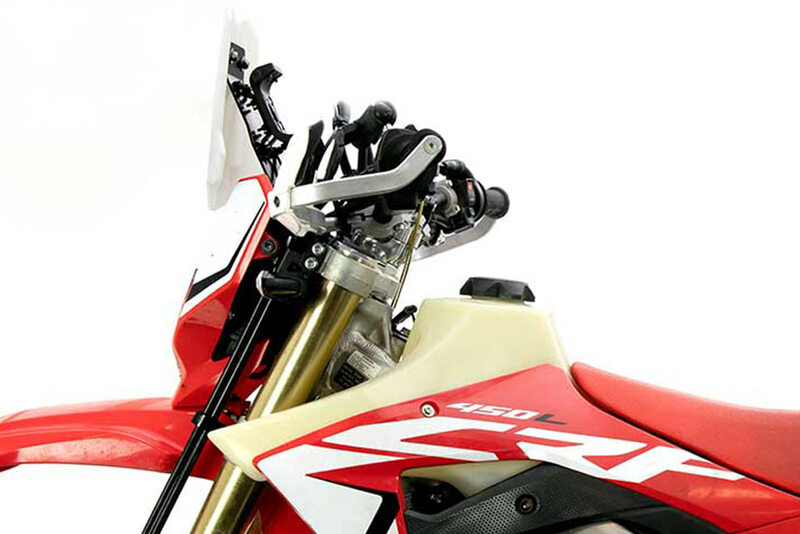  UK brand introduces kit designed to increase CRF450L travel capability. 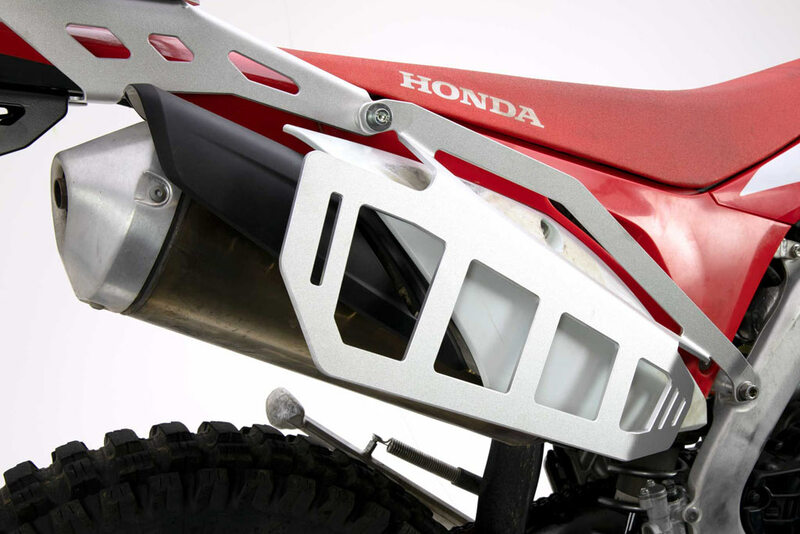 Parts specialists, Adventure Spec, have built on their accessories manufacturing experience to give the off-road capable Honda CRF450L an adventure nudge. 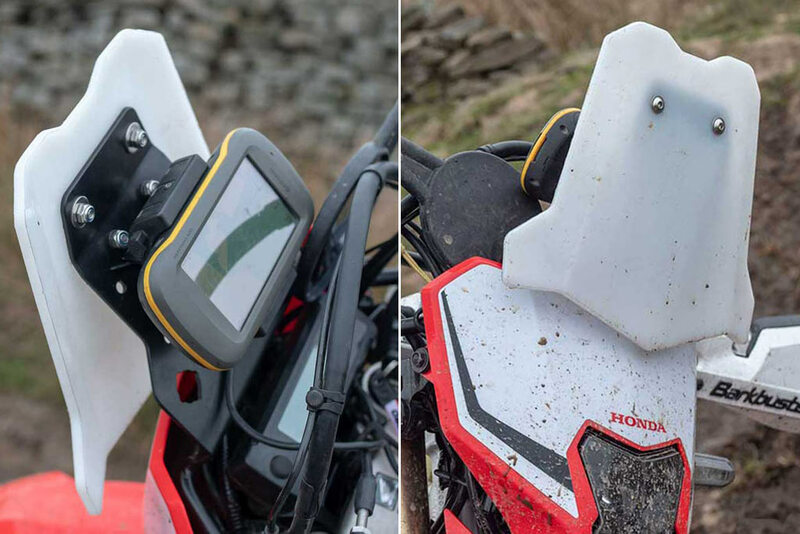 The UK manufacturer believes in the mantra ‘light is right’ for adventure riding and are firmly behind the model as a longer-distance dual sport. 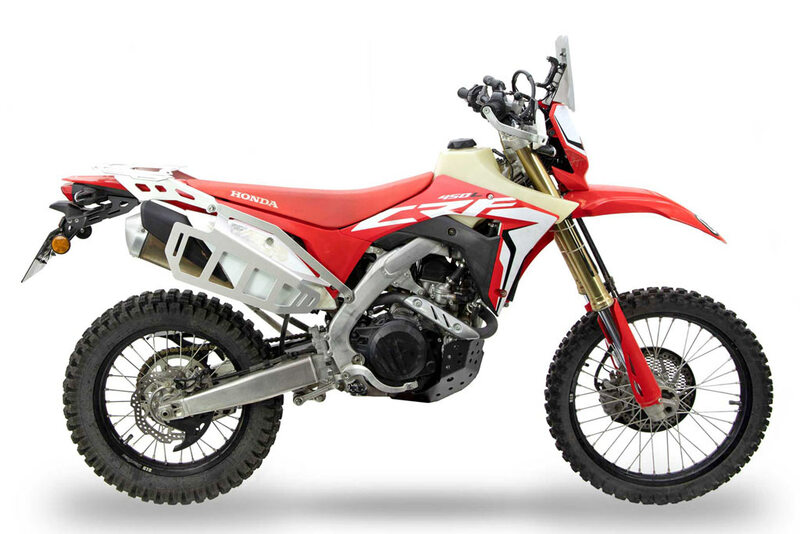 As such, they have launched a range of parts that they believe transform the stock CRF450L into a multi-day adventure trail bike. “The new Honda CRF450L has ruffled feathers in the lightweight adventure market. Is it an enduro bike? Is it an adventure bike? Or is it a trail bike? The joke in the office is we are trying to make a Honda Africa single. We want the functionality of that bike with its capability to enable us to navigate and be safe and keep everything protected,” says Adventure Spec. Their parts, they mention, give it that travel capability. 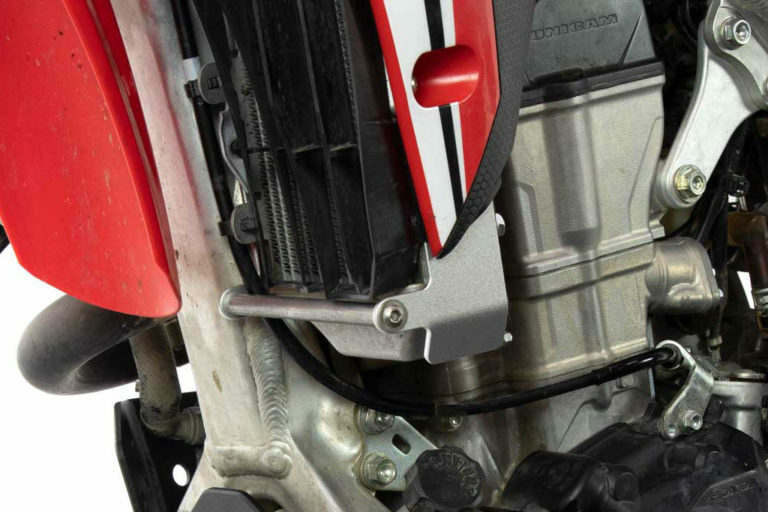  Honda CRF450L Unveiled: The Dual Sport Everyone’s Been Wanting? All I really need is a better seat. The stock one is painful after a while. What are the load ratings for the side pannier racks? For the rear rack? Does the front fairing / GPS mount supply external power to the Montana GPS? Thanks. 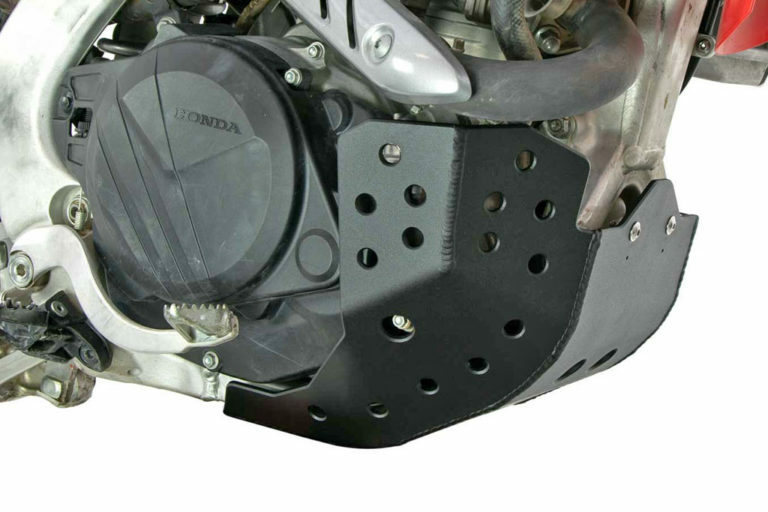 Hey Bob, the mini fairing allows access to a mounting point for a power source. 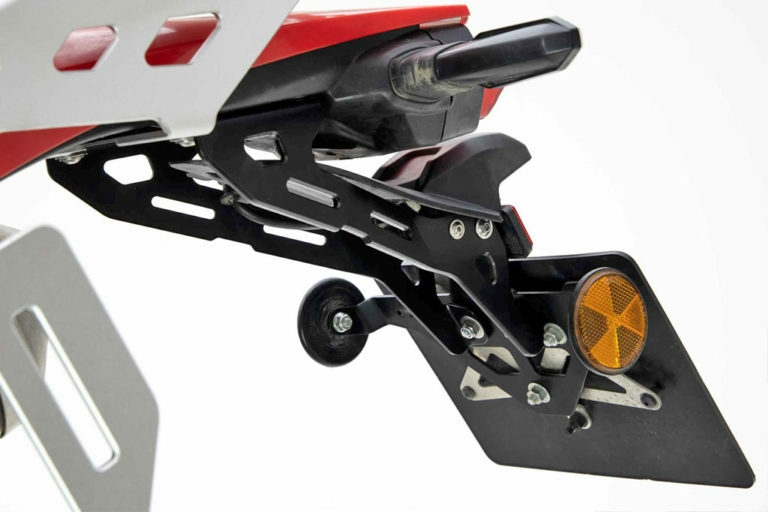 As for spec details on their luggage racks, please contact Adventure Spec. The link is provided in the article or go to https://www.adventure-spec.com/ Cheers! 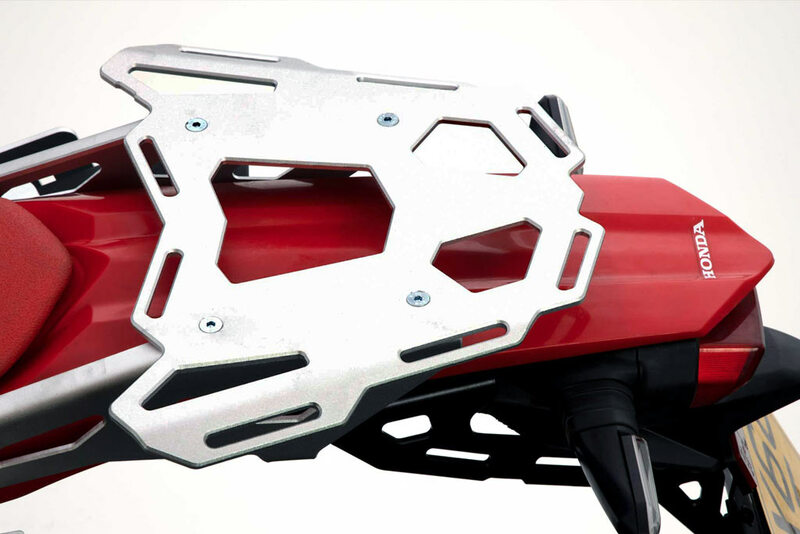 The fairing is designed to take the Garmin Montana Rugged Mount, which does power the unit. The bolt spacing is a common one, featured on a RAM round ball base for instance. There are also holes on the panel for a rocker switch (same as Symtec Heat Demon grips for offroad bikes) plus for a dual USB outlet with volt meter which we will have on sale shortly. Its an aluminium unit that will be around $20. This hole is a common size should you wish to fit something else in there. We have given a few fixed options, but the ethos was as a simple platform that riders can use as offered or easily adapt to their own needs.